You only need a tiny scrap of time to move toward God. This brief moment produces the stirring that embodies the greatest work of your soul. How many desires can fill an hour? You may have as many desires as there are indivisible fractions of time in an hour. God will forever remain incomprehensible to the knowing power. Through loving power, however, each of us may know God. If God were to bless you with absolute control of your will, you would have a constant awareness of heavenly bliss. Pay attention, then, to how you spend your time. You have nothing more precious than time. 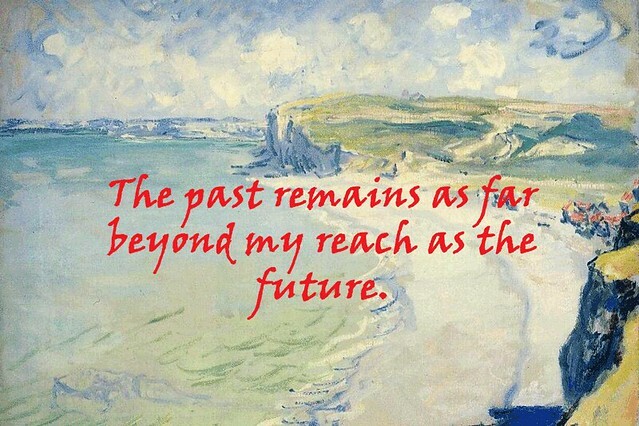 The past remains as far beyond my reach as the future. Apply yourself diligently to both prayer and community responsibilities. Tie yourself to him with love and faith, knitting your relationship together. Leave your senses and your imagination at rest, because there is no function for them here. Lord help me as I search for You. Give me the insight to recognize the small glimpses of your glory as the swish pass me. May I never seek to fully understand your glory but bask in the small measure of it that you reveal to and through me. Let me cherish each moment that you have given me and make those moments as precious as gold.